Anten-Grafsnas Jarnvag is a popular rail museum located in Alingsas. aIt consists of a historical station building, a museum, and a steam locomotive. It primarily showcases how a narrow gauge railway would work. Trains having steam locomotives and diesel-electric engines run from Anten to Gräfsnäs. Both return and one-way tickets are available. Parking is available at either station, though Anten is usually considered the main starting point. It is advisable to check the web page for the schedule and special events. The small museum exhibits renovated engines and cars. Find the joy in planning a D.I.Y. trip by using this awesome BjÃÃÃ‚ƒÂ¤llansÃÃÃ‚ƒÂ¥s trip planner. Add comfortable hotels to your plan, choose from the recommended hotels in BjÃÃÃ‚ƒÂ¤llansÃÃÃ‚ƒÂ¥s like Greenstones, BokenÃÃÃ‚ƒÂ¤s Hav Spa MÃÃÃ‚ƒÂ¶ten, Hotel Lysekil and ÃÃÃ‚ƒ…h Stifts- & KonferensgÃÃÃ‚ƒÂ¥rd. Curated BjÃÃÃ‚ƒÂ¤llansÃÃÃ‚ƒÂ¥s vacation packages await! Book the best ones and start turning your dream into reality.Discover various ways for how to reach BjÃÃÃ‚ƒÂ¤llansÃÃÃ‚ƒÂ¥s and complete the booking by choosing your mode of transport. Buses 560 and 565 to stop at Valegardet Bus Station. Love this? Explore the entire list of places to visit in Bjällansås before you plan your trip. Fancy a good night's sleep after a tiring day? Check out where to stay in Bjällansås and book an accommodation of your choice. Great railway with fatastic services and engagement. 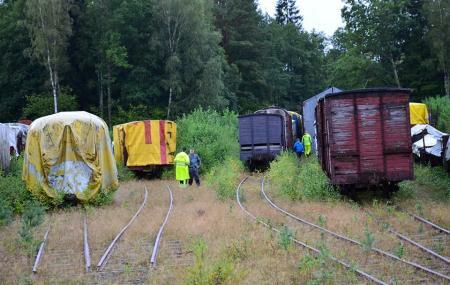 We had a wonderful day travelling with the diffrent historic trains and walking through the park at Gräfsnäs.